I started my dental nurse training in 2011 and qualified at the BDH in 2013. 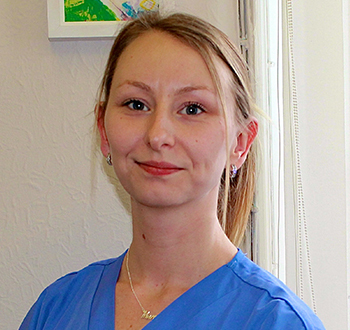 I had originally joined the practice as a trainee dental nurse in 2005. I get a lot of job satisfaction by helping patients to feel comfortable in the dental environment, in particular, those more nervous or young patients who may not know what treatment they are having done. I feel good that I am here to help. Out of work I enjoy shopping eating out and going to the cinema. Most of all though I enjoy spending time with my family, my daughter in particular.